*Fill in the form and once we receive confirmation of your payment, you will receive a username and password (usually within 12 hours), with full instructions allowing you to add your property and photographs to our database yourself. 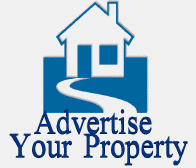 Owners may advertise any type of property for sale, anywhere in the world. Selling overseas homes is made simple with Globespan Property. 1) How much does it cost to advertise my property? We charge a single low fee of 20 Euros (approx £18) to list your property for sale. 2) How much commission do you charge? We do NOT charge any commission or additional fees from you, the owner, or from any potential purchasers. We guarantee there are no hidden charges, all we charge is the single small fee of 20 Euros. 3) How long can I advertise my home for? There is no time limit, your home is advertised until you sell it. 4) Will my email address be listed? We do NOT show your email address to the public. Potential buyers will contact you through the secure form we provide. 5) Will my phone number be listed? We do NOT show your phone number to the public. 6) Will buyers contact Globespan Property? No, Buyers will contact you, the owner, through the secure form we provide. You will then contact them via the email or telephone number they provide on the form. Enquiries are emailed direct to you and only you. Enquiries are also permanently visible online in your control panel. Then complete your registration by Paying our 20 Euros Listing fee. You will then be emailed a username and password to upload your property. If you prefer we can add your property for you at no extra charge. 7) I am unsure about entering my property details, can you help? We will upload your property details and photographs for you at no extra charge. 8) How long can my property description be? We recommend you to place as many details as possible. 9) How many photos can I upload? Up to 10 photographs per property. 10) I would like to advertise my overseas home how do I start? Register your property, as soon as we receive your registration, we email you a username and password. This is usually within 12 hours. You can then upload your property details and photos. If you have stated, when registering your property, you wish us to upload your property (at no extra charge) we will upload your property and email you a link to your advert. 11) Where do I use my Username and Password? You log in to your personal Control Panel, which allows you to add and edit your property. This control panel is available to you 24 hours a day, 7 days a week. 12) Do I need to install any software? No, our website provides everything you need. 13) How do I pay my one off listing fee of 20 Euros? Once you have filled in the registration form, you will automatically be taken to our payment page. Click Pay Now to pay securely with your credit or debit card online using Paypal. 14) How long before my advert appears on your website? It is live and appears on our website IMMEDIATELY you or our team upload the details. You have complete control and can update the photos, pricing and the descriptive information used on your listing at any time and as often as you like. 16) I have my own website, can I link to it? Your property will be listed on Globespan Property until sold. There is no time limit when advertising with us. When you log in to your advert you will also be able to see how many times that your property has shown up in a search. You can also see how many times it has been viewed directly and how many enquiries you have been sent. No problem, we do not add the regions our advertisers do. IMMEDIATELY a new area or region is added when a property is uploaded, it appears live on our website. 20) I have sold my property, Can I remove my ad completely? Yes, you can delete your property using Delete when you login using your username and password. 21) Can I change my Username and Password to ones I can remember? Yes, you can change your username and / or password in your personal control panel as often as you like. Simply click the Forgotten Password link when at the login page and your password will be emailed to you. Selling your home overseas couldn't be any easier or cheaper! Sign up with citrix certification for getting incredible online 100-101 exam and Colorado College . We also provide best prince2 and Testking 350-050 with guaranteed success.